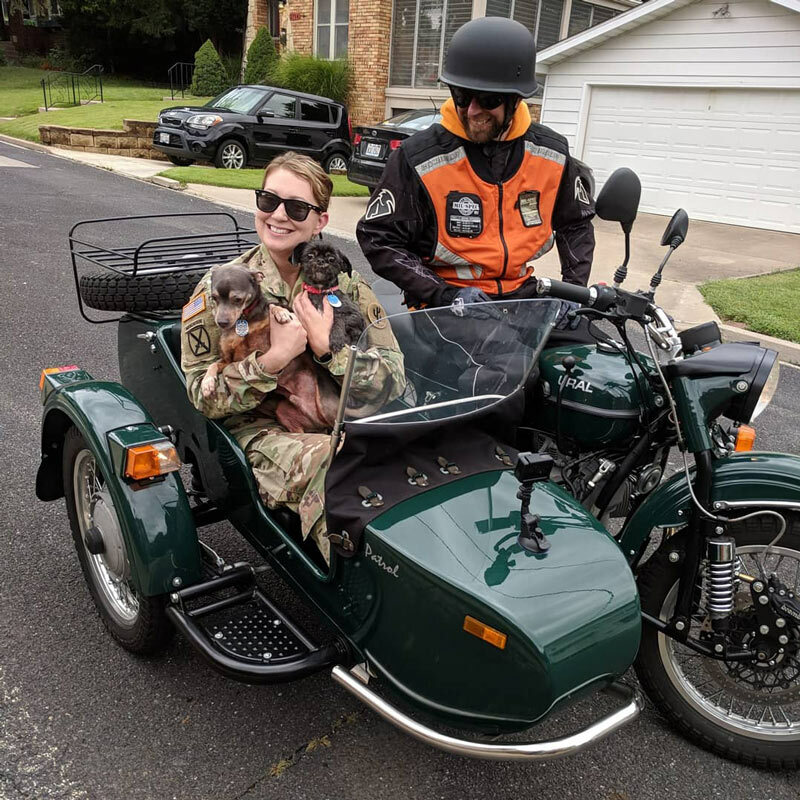 $100 Ural Shop Gift Card: We love that Alma Villalobos of the Chicagoland area was able to provide her son with the joy of riding in a Ural cT sidecar in this #sharethechair moment...and so did the commenters on her Instagram. This was so much fun! I can't wait to give even more rides for next year's event! This was fun! Thanks. My only concern is that we're 1 year away from the next Ural Ride Day! 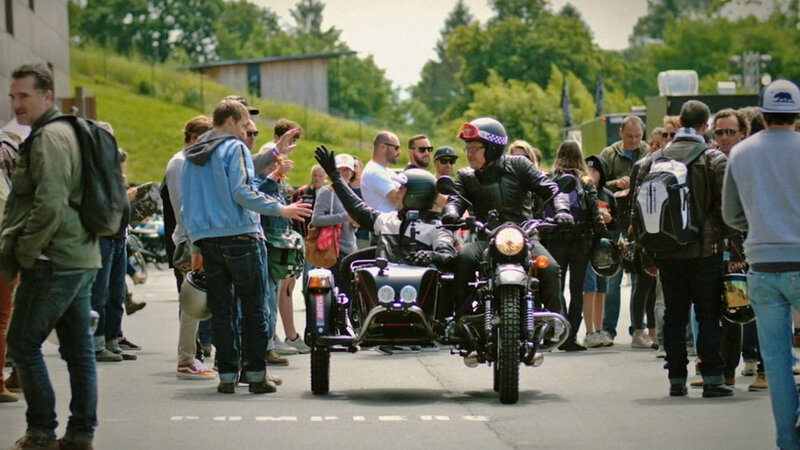 Ural Motorcycles and Motul present: A Motorcycle-Diaries adventure from France to Austria. "A la recherche du temps perdu" the story about a slow ride from Wheels and Waves to Austria through fantastic sceneries! With the recent announcement of the official lubricant partnership between Ural and Motul, a very special Motorcycle Care custom motorcycle was developed at the IMZ motorcycle plant in Irbit, Russia. We see our wheels as means to explore the world and to expand our horizons. Based on the Ural Gear Up model, with special matte and gloss paint, the red line on leather and rims are easy on the eye. This special trunk design can hold 10 products from the Motul MC Care range. First revealed during Wheels & Waves 2018 Biarritz, France. You can see the product in all its glory at Intermot 3-7th October Koln! We soon give in to looking around, waving, smiling, taking pictures, reading, eating. Learn more about the Gear Up and how you can create your own adventure. See the original post at Motorcycle-Diaries and check out the MC Care line of products from Motul. On September 8th, 2018, the Ural community will be celebrating International Ural Ride Day. 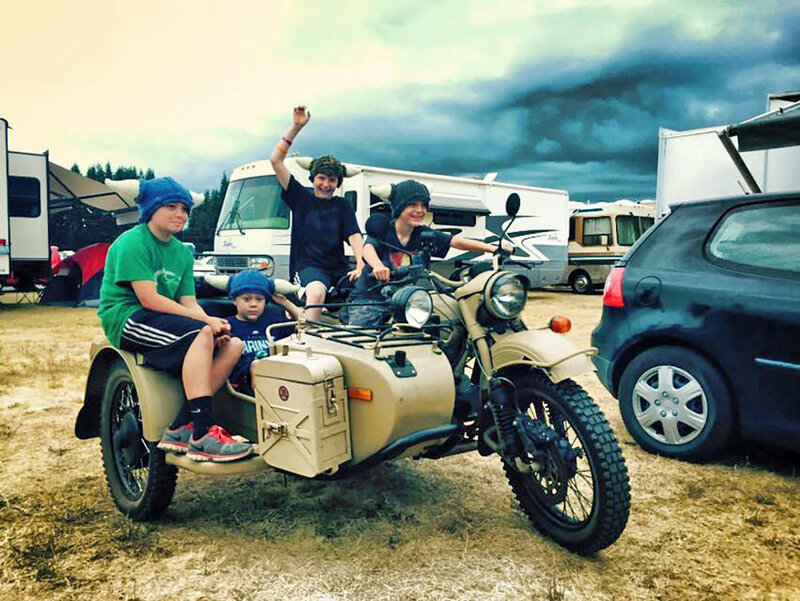 Ural owners and dealerships all over the world will invite as many passengers into the sidecar as they can. Some people will win awards for most points and best photos, so read these tips on how to successfully #sharethechair! Like one of our Ural ambassadors says (Tracy Getty), “most people are floored that I’d even ask. In other words, don’t be shy, people might be more willing to hop in than you think. For inspiration, see Tracy’s story here. Before the big day, fuel up and give the bike a pre-ride inspection. Load up an extra helmet or two and plan a general route. NOTE: Reach out to your friends on social media ahead of time to give them a heads-up. Maybe you work on Saturday (Sep 8th!). Maybe you’re coaching a soccer team. 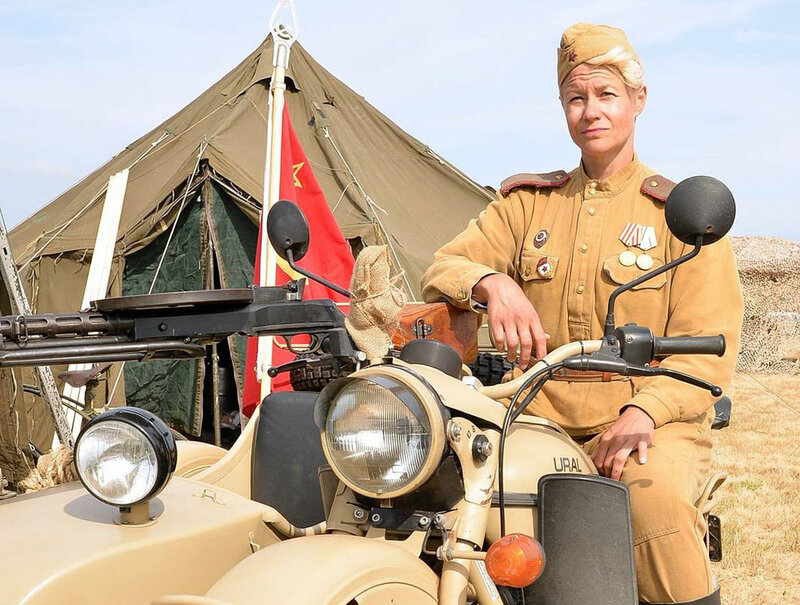 Just take the Ural with you and offer rides to your coworkers or your team. Heck, offer rides to the opposing team in the parking lot...that’ll net you a lot of points! This may be the most important tip. Who doesn’t like a smiling sidecar chauffeur? Create a lasting memory for your passenger by sharing your excitement with them. Dress up. Be nice. Laugh with your co-pilots! 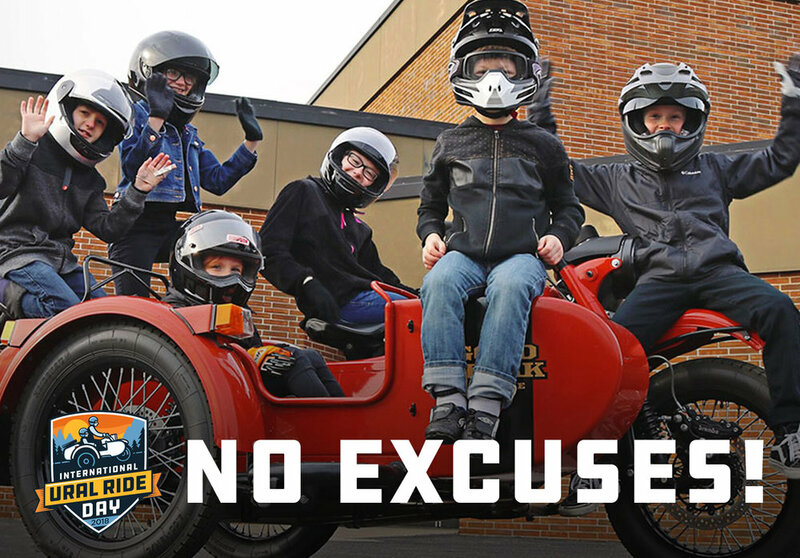 This is about growing the sidecar community and having fun. This isn’t a time to be daring or show off your cornering speed. Rides can be short and sweet (and slow) and if the passenger is hesitant, respect that and simply have passengers sit and pose for a picture (which you can collect points for!). 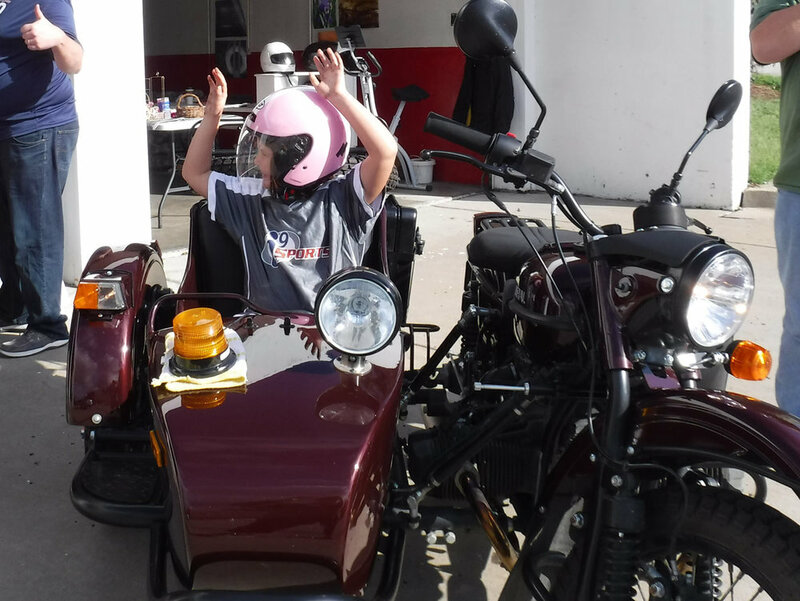 Remember the feeling of joy when you first rode in or on a sidecar motorcycle? Share this joy and give people a reason to smile! There is something special about human interaction in this busy and increasingly digital world. Your sidecar is the most amazing way to break the ice and break barriers. Just share the chair! For every 10 passengers you give rides to, you’ll receive your International Ural Ride Day 2018 Star sticker. Register today! Let's set a record by giving rides to as many people as we can on September 8th! What year and model of sidecar do you ride? It's a 2009 LE Sahara Gear Up. It’s called…WARCAT! 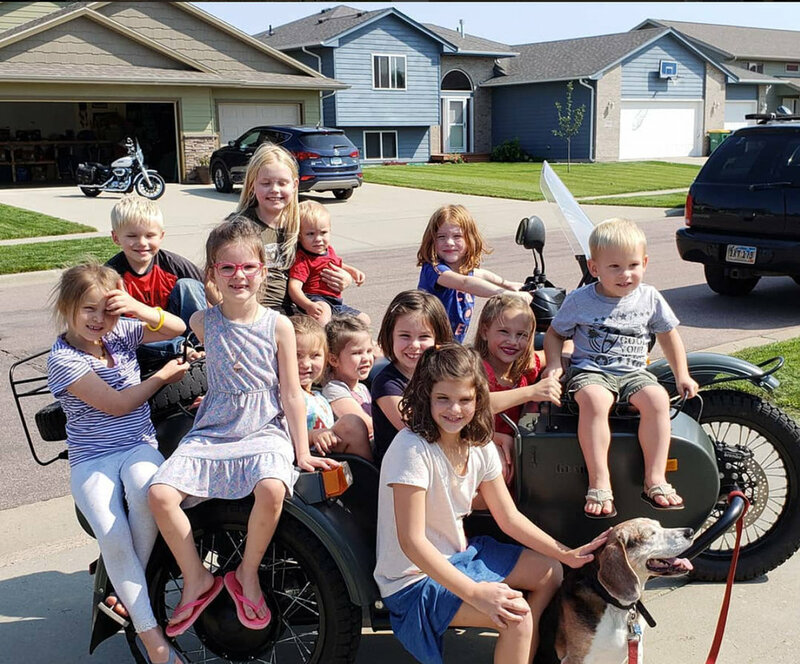 About how many people have you given rides to in your sidecar? Do you have a single-day record? The very first ride I gave in WARCAT was on November 13th, 2009. Since then I have given 926 rides (as of this article). I document each ride with a photo and a caption to describe our outing. After the adventure I give my riders a button that says 'WARCAT HACK MONKEY' and I print their Hack Monkey Number on the back. People think that is pretty special. My single day record for single rides is 34. People seem to be afraid of strangers these days and the sidecar helps to break the ice. How do you go about inviting people to go for a ride? I just flat out ask them if they want to go for a ride. Most people are floored that I’d even ask. Have you ever given rides to complete strangers? Any memorable instances? Most of my riders are complete strangers. I am a WWII Living Historian, so on occasions I will suit up like a Russian Soldier. I help out with events such as fly-ins, museum static displays, and military vehicle set-ups. I enjoy giving people rides around the grounds. Other times my sidecar has been used as rescue missions. One evening I gave a gentleman a ride to the gas station and back because he ran out of fuel. Another time I gave an elderly man with a fractured hip a ride home from the hospital because he was walking! I’ve even given a very special last ride a local motorcycle enthusiast who had a terminal disease. That was heartbreaking but I was proud to be there for him and his family. I didn’t know them beforehand but word got out that I give sidecar rides and the rest fell into place. We’ve done fun stuff, too. WARCAT was even the getaway vehicle for a wedding! During the reception I gave rides to wedding guests. 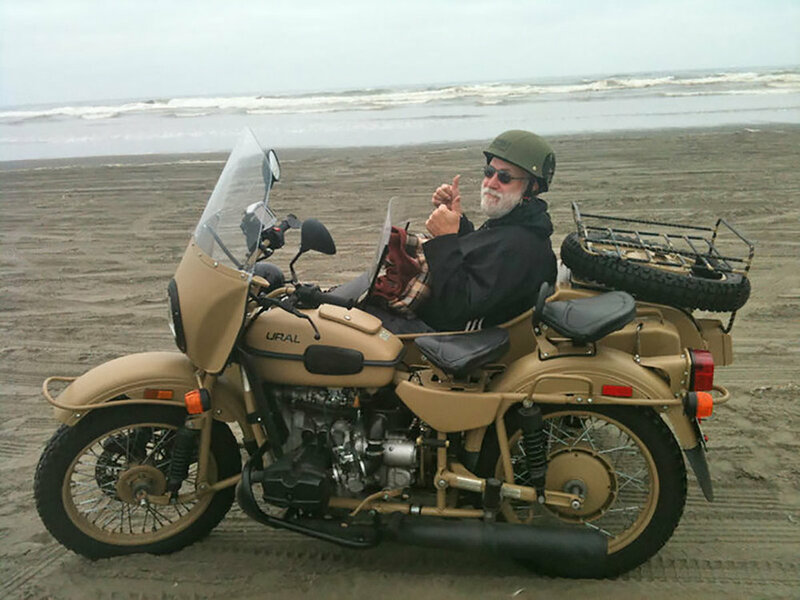 My sidecar and I have done a lot together but the best part is all the different people I get to meet along the way. What reaction do you normally get from guest passengers? Everybody is just ecstatic. Kids are all like, “BEST DAY EVER!” and they don’t want to get out. Even the older generation light up like rockets when we go tooling around together. I love it when people do “roller coaster arms” because they realize just how freeing it is to be a sidecar passenger. What inspired your effort to share your sidecar with the masses? Not only are Urals the go-anywhere, do-anything rig, they are just FUN! They bring a smile to people’s faces. The Ural lifestyle is the silver lining in any gray day, and here in the Pacific Northwest we need all the sunshine and smiles we can get. Afterall, EVERYDAY is a #sharethechair kind of day for WARCAT & me! Help us set a record by giving rides to as many people as we can on September 8th! Remember to be safe, wear a helmet and enjoy the ride! Watch our video on best practices when riding with passengers. 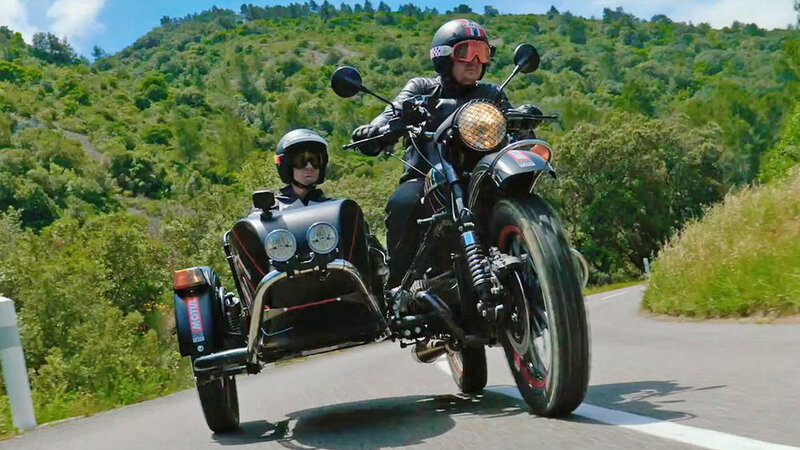 If you haven’t seen it yet, check out our “How to Ride a Sidecar Motorcycle” video here.